Over the past few years there have been a small number of “mind scientists” who have been quietly working (behind the scenes) to find out exactly how we think, where our thoughts come from and how they can be changed. For years self-help and motivation gurus have been telling us “change your thoughts and you can change your life” but they never told us how to change our thoughts. What they failed to mention (and probably didn’t even realize) is that by the time you have had a thought it is too late – the feelings have already started and the process is in full swing. These scientists have gone way beyond “positive thinking” and as a result have created a process that is like software for the brain and could be considered the most effective, most powerful process for change in the world. Between them they have discovered secrets about the brain that shakes previous ideas and proved early psychologists wrong! 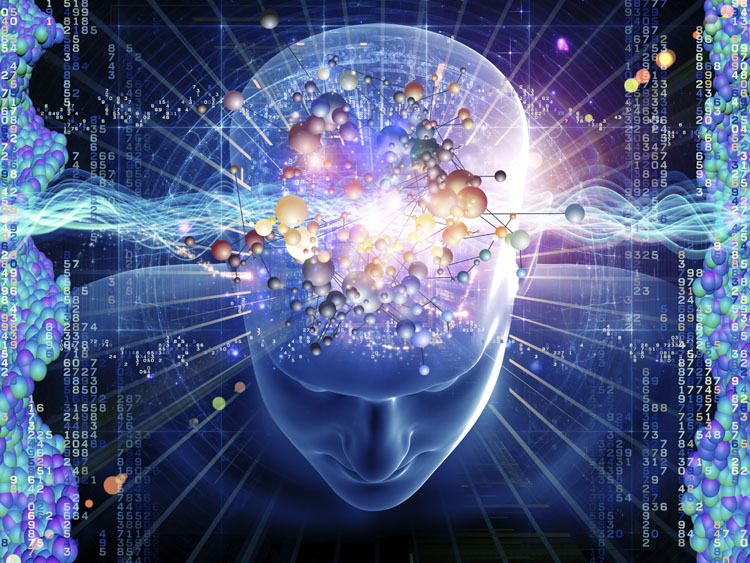 Sophisticated new technologies have enabled discoveries about our subconscious minds and the thought processes that take place below our conscious awareness in what is referred to as our subliminal mind. Thanks to new technology, our understanding of the subconscious mind is getting serious attention and respect from serious scientists and as a result a new science of the subconscious is emerging. Below is a small selection of various studies for those of you who would like to dig deeper into this fascinating subject. I will continue to add this page so check back often for updates. Three studies investigated how subliminally primed thoughts of an agent prior to action can aVect ascriptions of authorship for that action. Participants competed against a computer program to remove words from a computer screen. Participants reported greater feel-ings of authorship when primed with Wrst person singular pronouns, and lower feelings of authorship when primed with “computer.” We also investigated whether authorship feelings could be aVected by priming subjects with a supernatural agent (i.e., God). Feelings of authorship decreased when participants were primed with God, but only among believers. When a construct is primed, people often act in construct-consistent ways. Several accounts for this effect have been offered, including ideomotor theory and a social functional perspective. The authors tested an additional perspective, the Active-Self account, whereby primes can temporarily alter self-perceptions. In Study 1, non-African American participants reported feeling more aggressive on an implicit measure following an African American prime. In Study 2, participants reported feeling luckier on an implicit measure following a number 7 (vs. 13) prime. In both studies, these effects were obtained only for low self-monitors, who are more likely to change self-conceptions in response to diagnostic self-information and to use their internal states in guiding behavior. Study 3 showed that low self-monitors also show larger behavioral effects of primes. Research in cognitive psychology, neuropsychology, and neuroscience has converged recently on the idea that memory is composed of dissociable forms and sys-tems (Squire, 1992; Roediger and McDermott, 1993; Schacter and Tulving, 1994; Willingham, 1997). This con-clusion has been based on experimental and theoretical analyses of a variety of different phenomena of learning and memory. One of the most intensively studied of such phenomena is known as priming: a change in the ability to identify or produce an item as a result of a specific prior encounter with the item (Tulving and Schacter, 1990). Three studies demonstrated that subliminally priming a goal-relevant cognition (thirst in Studies 1 and 2; sadness in Study 3) influenced behavior (in Study 1) and enhanced the persuasiveness of an ad targeting the goal (in Studies 2 and 3) when people were motivated to pursue the goal (when they were thirsty in Studies 1 and 2; when they expected to interact with another person in Study 3). These results suggest that subliminal priming can be used to enhance persuasion, but only when certain conditions are met. Both the priming of goal-relevant cognitions and the motive to pursue the goal were necessary for ads targeting the goal to be more persuasive. The implications of these results for the role of functionality in subliminal priming and for the use and abuse of sub-liminal priming in persuasion are discussed. Copyright and Other Protection. The Site and much of the text, images, graphics, information and other content of the Site (collectively, the “Content”) are protected by copyright, trademark and other laws. We or others own the copyright and other rights in the Site and the Content. Much of the Research Content consists of articles and other scholarly writings posted by authors and researchers according to their understanding of their rights in that material. If you have an article, report or research paper that you understand or believe to be in violation of copyright please contact us and we will remove it immediately while we investigate the circumstance. This research is provided to interested parties who wish to broaden their understanding of subliminal priming and all copyrights remain with the original authors. This page is provided in good faith with the intention of promoting the studies and authors involved. If any author or copyright details are wrong or need updating please contact us.